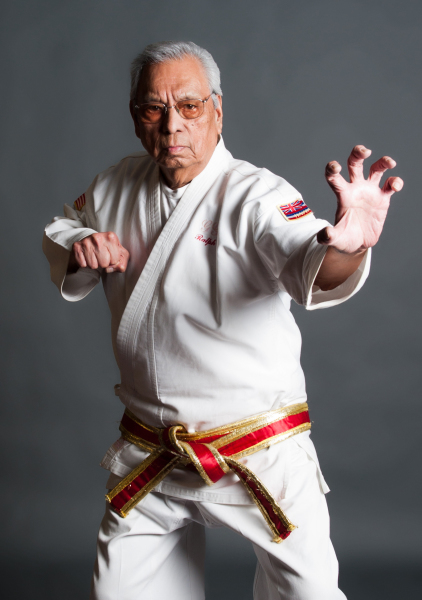 Originally from Honolulu, Hawaii, Great Grandmaster Ralph Castro began his training with the late Great Grandmaster William K. S. Chow, who taught him the art of Kenpo Karate. 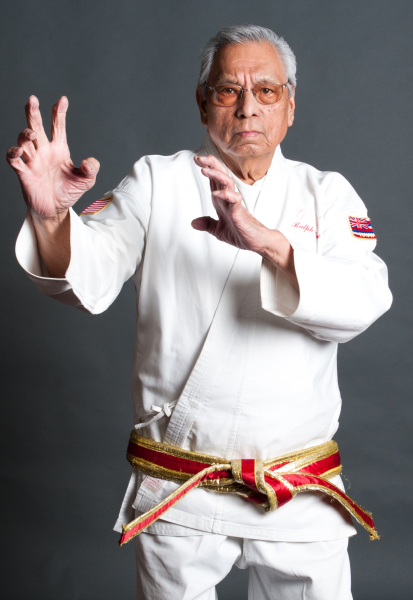 In the mid 1950's, Great Grandmaster Ralph Castro moved to the mainland USA and settled in the San Francisco Bay Area where he founded the Shaolin Kenpo Karate Self Defense System.​​ Since 1958, Great Grandmaster Ralph Castro has trained and developed top black belts, several who have continued the Shaolin Kenpo legacy by becoming masters in their own right. SHAOLIN KENPO is a comprehensive system of Martial Arts developed to meet the self defense needs of the individual in today's society. Encompassing both empty hands and weapon defense techniques used by the old Chinese Masters, Shaolin Kenpo addresses various types of self-defense situations that may confront the average adult and youngster. Shaolin Kenpo is a fast and powerful system of self-defense designed to successfully defend against single or multiple assailants. Students attain a higher level of spirituality - that of respect, humility and self-retstraint. The inner strength and peace that comes with training can be taken anywhere and never be taken away. 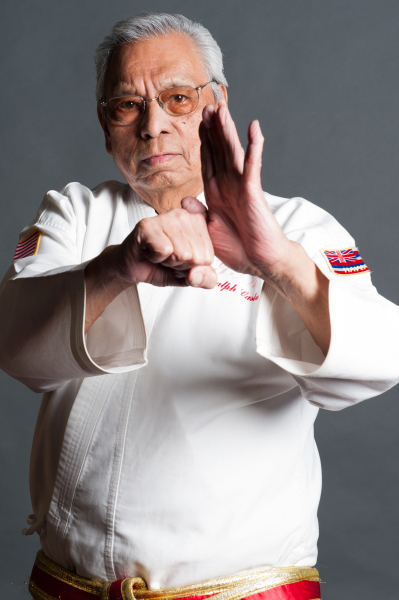 The International Shaolin Kenpo Association was established in 1981 by Great Grandmaster Ralph Castro to be the only governing body over his art of Shaolin Kenpo. The Association regulates the technical quality of Shaolin Kenpo and governs its members. It determines rank promotion criteria and maintains standards and ethics. The Association determines who are certified Shaolin Kenpo instructors and sanctioned schools, and it requires that they are subject to inspection, review, and revocation. The ISKA can be reached at www.shaolinkenpo.com.